One of the first plots of land in town, this land called Lot 13 across from the church was sold by Jean Mouton to Jacques Ribbety on September 3, 1824 / un des premier lot de vendu par Jean Mouton à Jacques Ribberty le 3 septembre 1824. Lot 13 from the Old Corporation of Vermilionville across from the cathedral was one of the first plots of land to be sold in town. It was sold by Jean Mouton to Jacques Ribbety on September 3, 1824 for $150, promissory notes, and a cash payment of $25. The mortgage was cleared in 1826 by a young attorney and future governor Alexandre Mouton. It was sold again for $800 in February 1853. Fernest Martin purchased it for $4000 in 1870. In 1877, Fernest Martin sold Lot 13 to Joseph Edouard Broussard, who was married to Martin’s daughter, Elia. 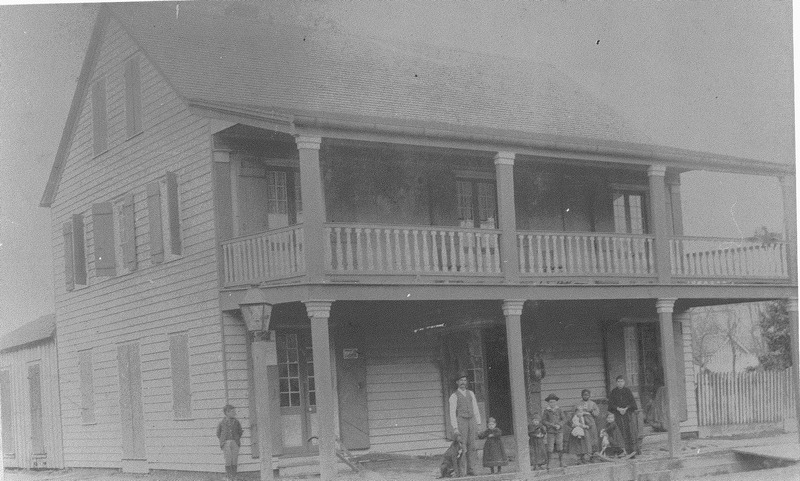 From then on the property stayed with Elia’s side of the Martin family until it became a barrister’s office in 1977. After Joseph Broussard’s death, Elia appointed her brother, J. Edward Martin her lawful agent and administrator of her plantation, then sold him Lot 13. 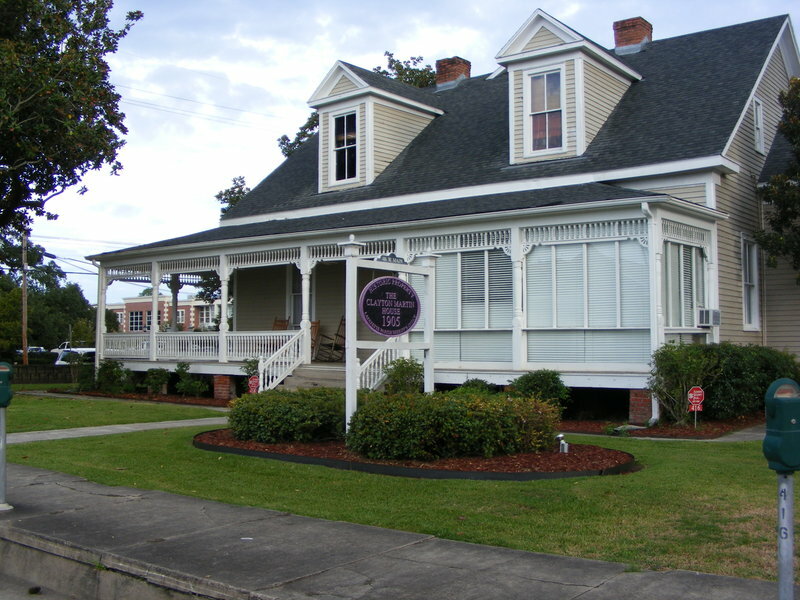 In 1905, Mr. J. Edward Martin decided to build a Victorian house from the bricks and lumber of the old structure. The architect George Knapp had the house raised from the ground and added two dormers at the front. Today, a wide gallery still wraps the south side along West Main Street, a glass transom stretches across the front door and its sidelights, and a floor to ceiling windows adorns both sides of the front door. With its central hall and two functional chimneys, the Martin house stands today as an excellent example of the turn-of-the-century Victorian home.